Yeah... so, it was actually a short week in the office, since I had Monday at home. But damn, it still felt just as long as a regular week... maybe even longer. But after seemingly interminable years, it's finally Saturday again. So, while I'm playing some D&D, you can read about some game reviews. Sound good? Let's get to it. This week we have: Anno Domini 1666, Century Golem Edition, Vanguard of War, 7 Wonders, Super Mario: Level Up!, The Lady and the Tiger, Chariots of Rome, and Heaven & Ale. In this video I will teach you how to play including: Setup, player turns, and final scoring I will also give you my thoughts and opinions on the game, and would love to hear yours. theMCGuiRE review takes a look at Vanguard of War, a brand new game from Archon Studios and delivering to KS backers currently. This game is a fantastic tower defense game and I really like it. It brings a light level of fun that engages all players and keeps you wanting to come back and give it another shot. Its not easy to win, specially if you play with all three tiers. If you are looking for a quicker game - just play one tier, medium - play 2, want the full all in experience - go for all three tiers in one session. the miniatures are AWESOME and super high quality sculpting...well lets just say hats off to the sculptor. 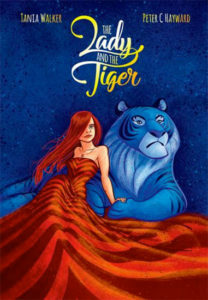 If you kickstarted this, you will be pretty happy when it shows up as its definitely worth the wait. All the various KS characters and the abundance of different enemy figures really add to the replay-ability (as well as the 2 sided board for some variation in layout). Welcome to the newest article series here at Board Game Quest. Quick Hits from the Vault is where we take classic or well known games and the BGQ staff gives you our quick thoughts on the game. Unlike a normal board game review, this won’t be an in-depth gameplay experience from one reviewer. Instead, some or all of the BGQ staff will briefly chime in on what they think about the game in question. The goal is not only to give you a quick review of the game, but also to give you multiple perspectives on it. Hopefully this article series will go a long way towards helping you find that next game to play. 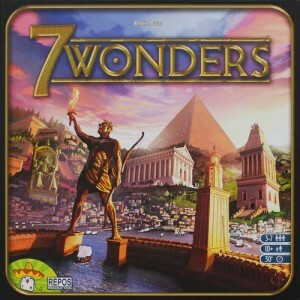 So with that in mind, we kick off our first Quick Hits from the Vault with 7 Wonders. Designed by Antoine Bauza in 2010 7 Wonders has won countless awards and became an instant classic. 7 Wonders also pioneered the “Pick and Pass” style of card drafting game. Over the course of three ages, players are drafting cards into their tableau and trying to score points in a variety of ways. 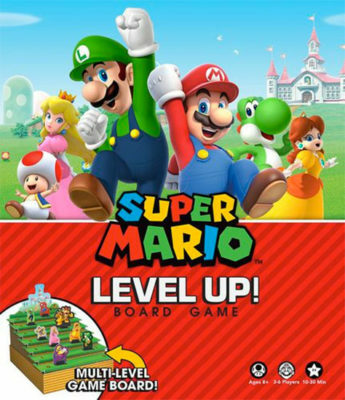 In Super Mario: Level Up! Board Game, players will be moving thirteen characters up the 3D board trying to claim the most coins by having their collection of characters being near the castle when the round ends. Does this game hold up to the greatness of the Mario series? Here we go! Super Mario: Level Up! Board game is a strategic movement and bluffing game for 3-6 players to play in around 30 minutes. In my experience, the game plays best with only three or four players. Chariots of Rome is a spiritual-successor of the 1979 classic Circus Maximus. I, perhaps shamefully, never had the pleasure of playing the original. I would take an interest at convention tournaments, peering over the barricades into the tournament corral, but the classic incarnations and the crowd associated with the original were, frankly, intimidating to a new player. 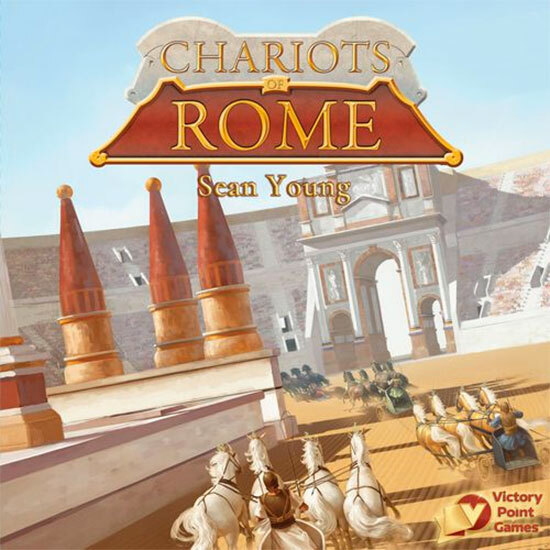 Luckily for me, when Victory Point Games announced that they would be releasing Chariots of Rome, I saw my chance to play the closest incarnation to the classic chariot racing game as a hobby gamer (who has far too limited time and too many games to play for a lifestyle game). Chariots of Rome is a chariot race/combat game for 2 to 8 players that takes between 45 and 180 minutes and is best with more than 3 players. 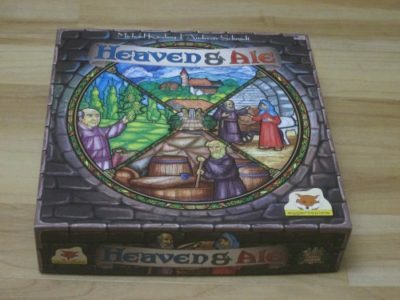 Heaven & Ale is a resource management game for two to four players. Players are monks who are trying to bring acclaim to their monastery by brewing the best beer from the best ingredients. The player with the most points is the winner.